On July 23, 2010 at about 10:46 am The Oswego City Police Department responded to the Oswego Hospital, 110 West 6th Street Oswego, NY regarding a stolen ambulance complaint. According to witnesses, a patient at the Oswego Hospital Emergency Department allegedly physically assaulted a security guard employed at the hospital then left the building. Once outside, the suspect stole an Oswego Ambulance that was parked outside the emergency entrance that had been transporting an unrelated patient to the hospital. At about 10:55 am Oswego Police located the ambulance which was parked a few blocks away from the hospital on West Mohawk Street near Liberty Street in the City of Oswego. The suspect was subsequently located inside a residence in the area that he had unlawfully entered. 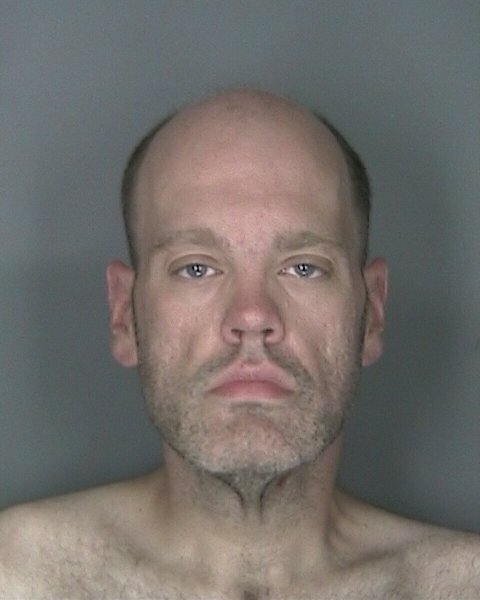 The suspect, 40 year old Matthew K. Belskis of 7 Karista Spring Drive, Saratoga Springs, NY was later arraigned in Oswego City Court on a charge of Robbery in the 2nd Degree (Class C-Felony). Upon arraignment, Belskis was remanded to the Oswego County Correctional Facility in lieu of $5,000.00 bail / $10,000.00 bond with a court date returnable to Oswego City Court on July 27, 2010. The security guard suffered minor injuries, but there were no other injuries as a result of the incident.